Can it be just a year since we announced the expansion of Firebase to become Google's integrated app developer platform at I/O 2016? That Firebase launch came complete with brand new app analytics reporting and features, developed in conjunction with the Google Analytics team. Now, at I/O 2017, we're delighted to announce some exciting new features and integrations that will help take our app analytics to the next level. But first, we’d like to highlight a bit of housekeeping. As of today, we are retiring the name Firebase Analytics. Going forward, all app analytics reports will fall under the Google Analytics brand. This latest generation of app analytics has always, and will continue to be, available in both the Firebase console and in Google Analytics. We think that unifying app analytics under the Google Analytics banner will better communicate that our users are getting the same great app data in both places. In Firebase and related documentation, you'll see app analytics referred to as Google Analytics for Firebase. Read on to the end of this post for more details about this change. One other note: The launches highlighted below apply to our latest generation of app analytics – you need to be using the Firebase SDK to get these new features. Now let’s take a look at what’s new. App analytics is now fully integrated with AdMob. Revenue, impression and click data from AdMob can now be connected with the rest of your event data collected by the Firebase SDK, all of it available in the latest Google Analytics app reports and / or in the Firebase console. What is the true lifetime value for a given segment, factoring in both ad revenue and purchase revenue? How do rewarded ads impact user engagement and LTV? On which screens are users being exposed to advertising the most or the least? With this change, you can now have a complete picture of the most important metrics for your business ― all in one place. "What's the average amount of time users spend in my game before they make their first purchase?" Many of you have asked us for the ability to report on specific data points like these that are important to your business. Custom parameter reporting is here to make that possible. You can now register up to 50 custom event parameters and see their details in your Analytics reports. If you supply numeric parameters you’ll see a graph of the average and the sum of that parameter. If you supply textual parameters you’ll see a breakdown of the most popular values. As with the rest of your Analytics reports, you can also apply Audience and User Property filters to your custom parameter reports to identify trends among different segments of your userbase. To start using custom parameter reporting for one of your events, look for it in the detail report for that event. You'll see instructions for setting things up there. We're also pleased to announce a new integration with both DoubleClick Campaign Manager and DoubleClick Bid Manager. Firebase-tracked install (first open) and post-install events can now easily be imported back into DoubleClick as conversions. This is a boost for app marketers who want a clearer view of the effect their display and video marketing has on customer app behavior. Advertisers can make better decisions (for all kinds of ads, programmatic included) as they integrate app analytics seamlessly with their buying, targeting and optimization choices in DoubleClick. We also know that some of you use advertising platforms beyond AdWords and DoubleClick, so we continue to invest in integrating more third-party networks into our system. (We're now at 50 networks and growing). The goal: to allow app data from all your networks to come together in Google Analytics, so you can make even better advertising choices using all the data you collect. Learn more. Google Analytics pioneered real-time reporting, so we know how important it is for our customers to have access to data as it happens. That’s why we’re so excited by the real-time capabilities we’ve introduced into our latest app reports. To refresh an announcement we made in March: StreamView and DebugView are now available to the general public. These features allow you to see how real-world users are interacting and performing with your app right now. StreamView visualizes events as they flow into our app reporting to give you a sense of how people around the world are using your app, right down to the city level. Then Snapshot lets you zoom-into a randomly selected individual user’s stream of events. And DebugView uses real-time reporting to help you improve your implementation – making it easy for you to make sure you’re measuring what you want how you want. DebugView is a terrific tool for app builders that shows you events, parameters and user properties for any individual development device. It can also highlight any events that contain invalid parameters. 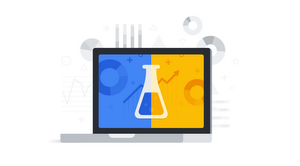 As mentioned above, we're rebranding Firebase Analytics to make it plain that it's our recommended app analytics solution, and is fully a part of the Google Analytics family. Our latest reports represent a new approach to app analytics, which we believe better reflects the way that users interact with apps. This means that these reports have different concepts and functionality when compared to the original app analytics reports in Google Analytics. If you're used to using the original app analytics reports in Google Analytics, don’t worry: they're not going anywhere. But we recommend considering implementing the Firebase SDK with your next app update so you can start getting the latest features for app analytics. Good data is one thing everyone can agree on: developers and marketers, global firms and fresh new start-ups. We've always been committed to app-centric reports, because analytics and data are the essential beginning to any long-term app strategy. We hope that these new features will give you more of what you need to build a successful future for your own apps.